1. 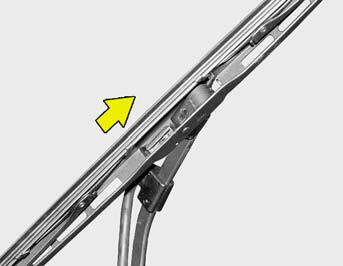 Put a new wiper blade onto the wiper arm and lower the wiper blade at the level of the wiper arm as shown in the drawing. 2. 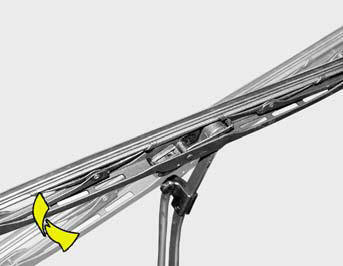 Pull up the wiper blade until you hear an audible "click" to engage in the end of the wiper arm. Do not allow the wiper arm to fall against the windshield.